Available in both online and land-based casinos worldwide, baccarat is a firm favourite amongst upper-class gamblers. But why is the traditional card game so popular? First of all, baccarat is considered to be one of the most sophisticated casino games in the world. Today, the game is often associated with the James Bond films. Many players enjoying picturing themselves surrounded by beautiful women and raking in an immense pile of chips – much like Bond does in the films. Seen as being a game of simplicity and elegance, baccarat tables are often situated in a private room to maintain the luxury image. Many casinos implement a strict dress code for those entering the secluded space; typically, women are expected to dress in evening gowns and men in tuxedos. With even the dealers following the upper-class dress code, an evening of baccarat is seen as nothing less than a luxury event. Another reason that baccarat is popular may be due to the game having a very low house edge. With a house edge of just over 1%, the chance of players taking home winnings is generally pretty high. While this obviously isn’t always the case, games with a lower house edge tend to draw players in more than those with a higher. Originating in Italy, the game of baccarat is thought to be over 500 years old. For many years, baccarat was seen as a game for the upper class. 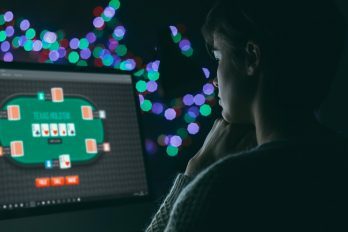 While this is still the case to an extent, the invention of online casinos has made the game more accessible to regular people, too. The original game was thought to be based on an ancient Etruscan legend in which a young woman had to throw a nine-sided die. In the tale, the result of the die determined her fate. If she rolled a number 8 or 9, she was promised to be made a priestess. If she rolled a 6 or 7, she was allowed to live but was forbidden from attending any religious or community celebrations. If she rolled lower than a 6, she was thrown into the ocean to drown. While this legend is a little unsavoury, from it came one of the most popular card games in the world. A few years later, baccarat began being played in France, where it was referred to as ‘Chemin de Fer’. After being announced as a favourite game of King Charles VIII, baccarat quickly became popular amongst French aristocrats. It wasn’t long before the game made its way over to England, where Ian Fleming created the infamous baccarat player, James Bond. If you’re a complete beginner, don’t worry – the basic rules of baccarat are simple and easy to pick up. First, let’s discuss the setup. The game is played on a large table, typically able to seat up to 14 players. Each seat at the table is numbered to help keep track of bets; however, there is never a number 13. While it still remains unclear as to why this is, one can assume that it’s because the number is deemed to be unlucky. A number of 52-deck cards are used for the game, though the number of decks varies between 6 and 8. Before the cards are placed on the table, the decks are shuffled and placed into a shoe. A cut-card is placed 16 cards from the bottom of the pile; when this card is drawn, it signifies the last hand of the shoe. Players may then begin placing their bets. In baccarat, gamblers can bet on one of two card piles, either the ‘Player’ or the ‘Banker’. Once all bets have been placed, 2 cards are placed in each pile. When the cards have been dealt, the totals are compared. At this point, drawing rules are used to conclude whether either of the hands should receive an additional card. The totals are then compared to determine the outcome of the game. The object of Baccarat is to choose the winning hand, either Player or Banker. The winning hand is whichever one has closest to a total of ‘9′. If you’re looking for a simple game of sophistication, look no further than baccarat. In the past, baccarat was seen as a game purely for the upper-class; however, with the invention of online casinos, the popular card game has become available to players from all walks of life. When playing online, the pace of the game can be set by the player. With this, you can enjoy relaxed gameplay if you’ve got time to kill or ramp up the pace a little if you’re in a hurry. Better still, many reputable casino operators offer Live versions of the game. In a Live game of baccarat, the game is carried out by real dealers. Not only does this make you feel more connected to the game, but it also means that your questions and queries can be answered whenever they crop up. 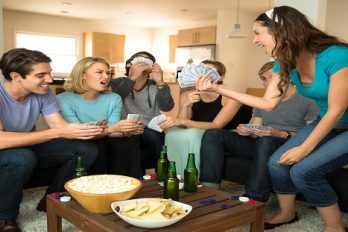 Offering players an interactive experience, Live card games are the most advanced way to gamble in the comfort of your living room, or even on the go with a smartphone or tablet! With so many different online casinos available, it can be tricky to know which one to go for. Thankfully, we’re here to help! 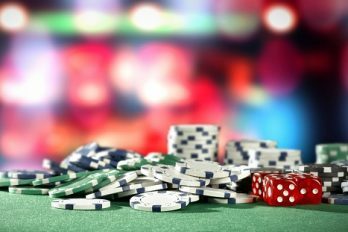 At casinobet.com, we review a wide range of games and casinos so we can give you an insight on the best ones to play at. Better still, we always take into account the promotions offered. For those that play regularly, many platforms will reward you generously with bonuses, free bets, and huge jackpots. If you’ve some time to kill and a handful of spare cash, why not go and try your luck? You never know, you may choose the winning hand!